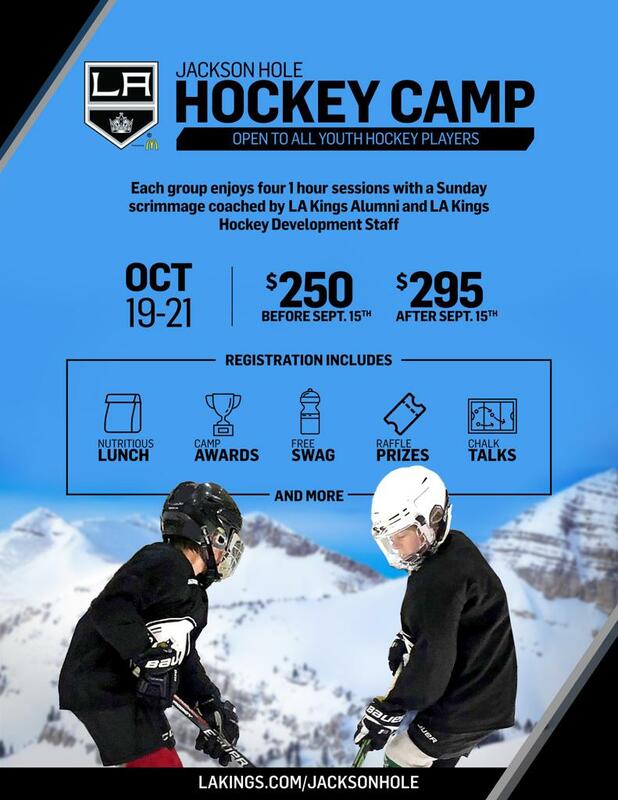 LA Kings Hockey Camp is Coming to Jackson! Fine tune your skills during a 3-day Mini Camp with on Ice instruction from LA Kings Alumni and LA Kings Hockey Development Staff to prepare for the 2018-2019 season! (6) The 2012 and under group (group 4) only includes the 1-hour practice on Saturday, swag bag, and jersey.